In the hearts and minds of many, Robert Downey Jr. will always be Iron Man, Chris Evans will always be Captain America, and Hugh Jackman will always be the Wolverine. This isn’t a bad thing because these are all beloved characters that have now been etched into movie history. Of course some people, like Ben Affleck, will always be remembered for the abysmal “Daredevil” movie. So with that said, Paul Rudd, you are Ant-Man, and damn good at it. It’s a difficult job to be the Marvel movie that follows up the box office success, “Age of Ultron,” but “Ant-Man” is not only a sufficient follow-up, but better than the epic spectacle earlier this summer. 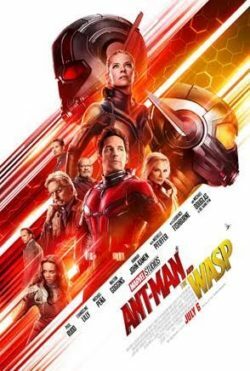 While “Ant-Man” may not have the budget, the explosive scenes, and the plethora of characters building around its hyperbolic villain, it’s still grand. Its pint sized hero does everything wonderfully on a much smaller scale, but with a lot more heart. Scott Lang (Rudd) is a cat burglar who constantly reminds everyone that his robberies were not violent. He’s recently been let out of jail and is staying with his buddy Luis (Michael Pena). Scott wants to do right. He has the smarts and drive, but as his wife says, he leaves when things get tough. So after some unsuccessful attempts at getting a decent job, including a shameless product placement, Scott quickly resorts back to a life of crime. Luis has the scoop on a home with a massive safe in the basement. Scott breaks in, and his first foe is an impressive metal door with a thumb print key lock. He disposes of this quickly, seemingly ready to meet the illegal challenge. But it isn’t gold bars, jewelry, the Ark of the Covenant, or any treasure like that inside this mystery vault. Instead it’s a suit, and as the cliché goes, it comes with a great power. Scott may not be ready for the power, but the creator of the suit, Hank Pym (Douglas), is ready to teach him. Like most origin stories, it does deal with the obligatory training scenes and exposition that we’ve become accustomed to in many of these superhero movies. “Ant-Man” reminds me a lot of “Iron Man” in that the training sequences are coupled with personal growth in our hero. It isn’t simply bulking up, learning fighting tactics, and growing into a suit, but it’s also about growing as a person. We don’t need the end of the world to be impressed with superhero movies, but we’ll certainly have a lot more admiration for someone who’s just as human as me or you. With Paul Rudd’s acting and the clever writing, “Ant-Man” becomes one of the best Marvel movies. “Ant-Man” is enjoyable, fun, exciting, and filled with humor. It knows when to be emotional and it knows when to laugh at itself. A lot of that is thanks to the script penned by Edgar Wright. While three others were attached to it, Wright’s mark has been left. Peyton Reed, who is far from being known for directing action movies, does an OK job replicating Wright’s style of direction. The blueprints were there, but there is this faint feeling that it could have been perfect if Wright was behind the camera. 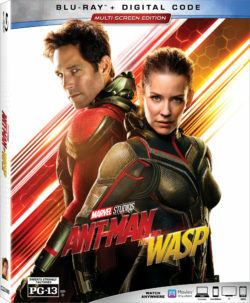 Ant-Man joins a very crowded field of superheroes, and sure to become even more crowded with Captain Marvel, Black Panther, Doctor Strange, and others on the horizon. While I’m sure Marvel will handle all of these characters like it has in the past, with grace, heart, and comedy, but as of right now, Ant-Man’s short stature has left the biggest mark on the Marvel universe. Good things do come in small packages.